Dewy finishes, blurred imperfections, customizable coverage, sure, there are plenty of things we love about our favorite foundation formulas. However, that doesn't mean we wish to be strapped to the stuff (or feel obligated to wear it) 24/7. True, it looks great in photos and blesses us with an extra notch of confidence pre–blind date, but there's something equally beautiful about a completely bare, foundation-free makeup look. Plus, going without also saves us time (because blending can be a pain) and paranoia (because we're not always sure what it's doing come 2 p.m.—melting? pilling? flaking?). And with so many amazing, glow-inducing products on the market recently, we've been feeling increasingly inspired to ditch our foundation altogether in lieu of our makeup bag's other shining stars. However, if you're used to wearing foundation on a regular basis, transitioning your makeup routine to one without foundation can be a hair intimidating, To ease the switch, I reached out to my fellow editors, (and, ahem celebrity makeup artist Tobi Henney) to investigate which products they rely on whenever they do their makeup without foundation. Interested in the breakdown? Keep reading for 14 products (with application tips!) we love and swear by when we opt to go foundation-free. "I always love to start with amazing skin prep, and I am currently loving Skin Iceland eye masks to help with under-eye circles," celebrity makeup artist Tobi Henney explains. Infused with Icelandic glacial waters and a potent dose of firming agents to help with puffiness, these pacifying gel patches gift tired eyes with a helping hand of antioxidants for a bright and toned appearance. A solid and balanced base is the key to any makeup look—especially when you're going makeup-free. 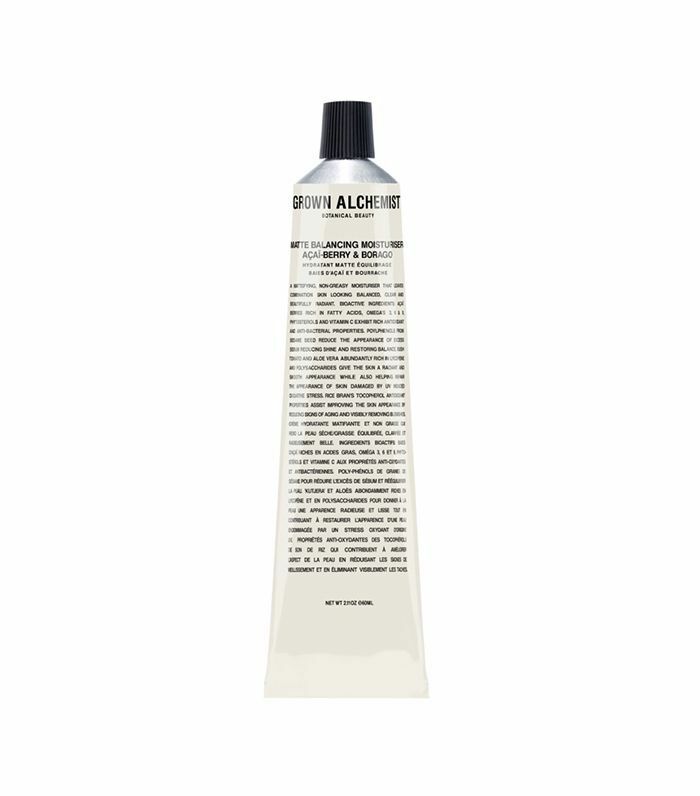 According to wellness editor Victoria Hoff, this formula from Australian cult-favorite brand Grown Alchemist creates a demi-matte finish that's super glowy and pretty on the skin. Plus, it never verges greasy. Henney agrees, sharing that "moisturizer is key for a no foundation look." Her picks: Tom Ford Intensive Infusion Face Oil ($252) and La Mer The Moisturizing Soft Cream ($170). 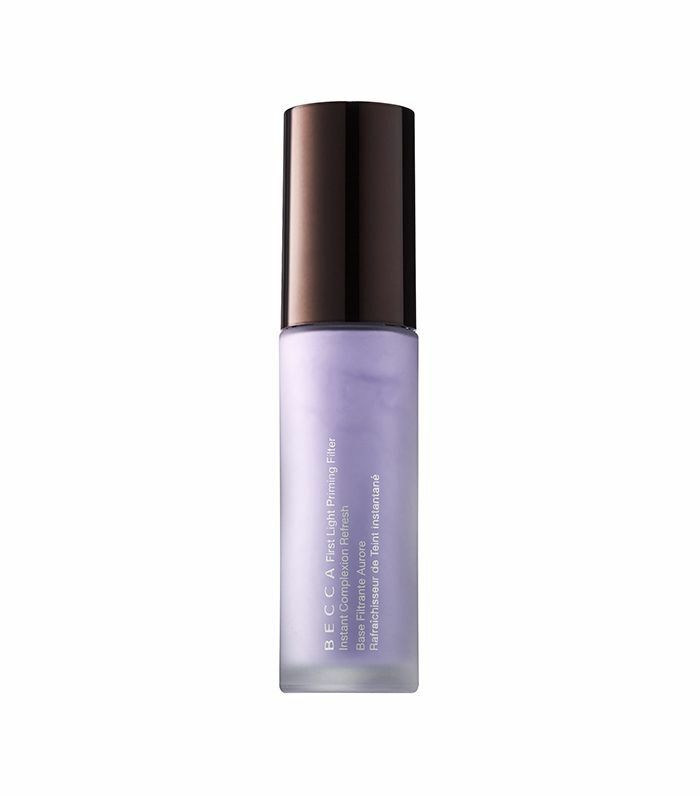 While yes, this is technically a makeup primer (which simultaneously resurrects thoughts of foundation), this glow-enhancing pick works just as well when worn solo. In fact, associate editor Audrey Noble claims it's the best makeup primer she's tried—period: "This primer has a slight shimmer that gives you an added glow to your complexion. Oftentimes I don't need to add highlighter to get that dewy look, but I'll add it if I want to look extra glossy." A multipurpose must-have (of editors and makeup artists alike), this beloved lip balm is a versatile option to create a coveted, kissable pout. (Though Henney tells us she's also a fan of Glossier Balm Dotcom $12). 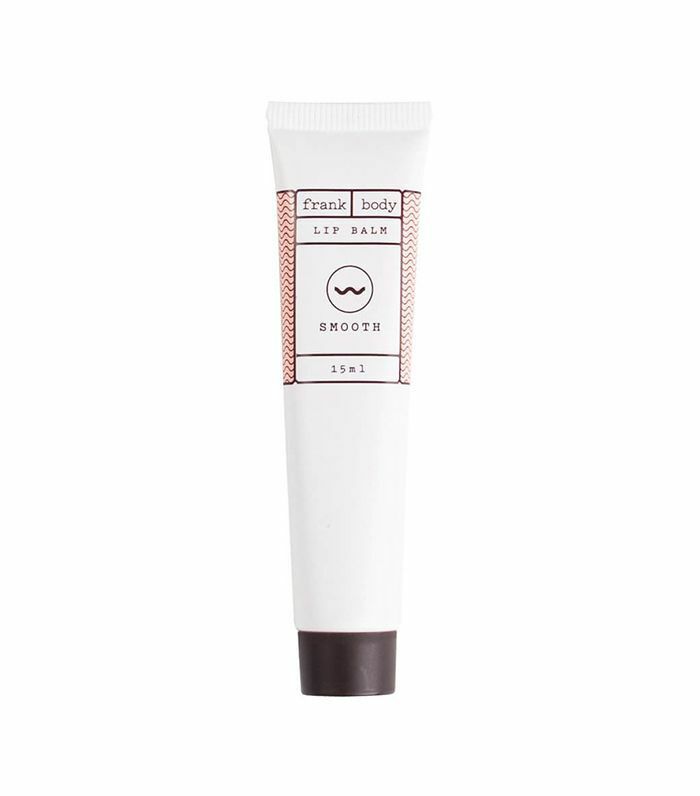 She suggests using the balm to hydrate your lips, but if you want to take it further, swipe it on cheeks and eyelids—really, the limit does not exist. We'd like to coin the notion that your skin is only as good as your sun protection. So if you haven't incorporated a quality SPF into your morning routine yet, here's your chance. When going foundation-free, Byrdie's editorial director, Faith Xue, swears by this pore-perfecting formula from Tatcha, which "mattifies the skin so it acts like a primer." It's great for all skin types, and pure silk extract and Japanese wild rose leave even an inflamed complexion balanced, smooth, and free of discoloration. In other words, you might as well throw your foundation out for good. We talk about this blurring and brightening primer a lot here at Byrdie HQ. Why? Even on those days when you wake up to an angry complexion—acne, pigmentation, dryness, what have you—this light-reflecting option blurs imperfections so you can walk out the door without the hassle of foundation but with the same balanced, even, and radiant results. Infused with the brand's cool light technology, prickly pear flower, ginger, and mineral-rich spring water, this pretty violet elixir is one Faith and Byrdie senior editor Hallie Gould always have in their back pocket. 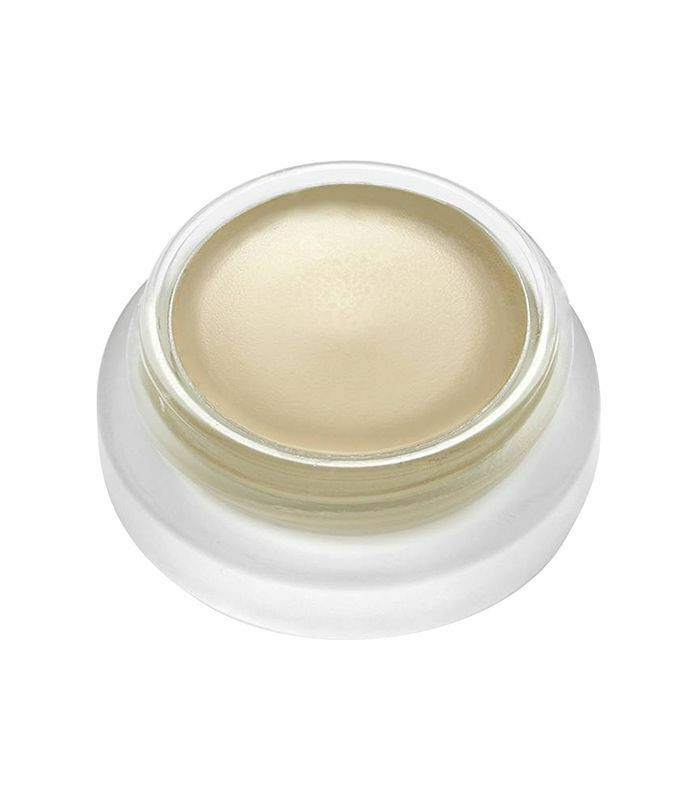 Technically, this radiance-enhancing formula by RMS can serve as a foundation (blame it on its weightless, natural-looking coverage), but we happen to prefer it as a quick-in-a-pinch concealer for a touch of hydrating coverage where and when we need it. 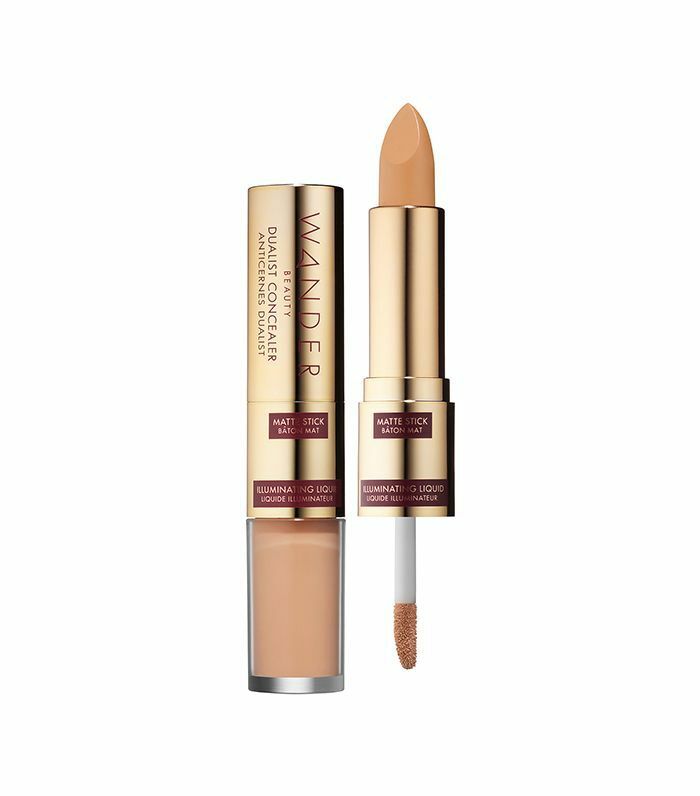 It's less of a commitment than foundation, and wellness editor Victoria Hoff (who literally has incandescent skin) recommends it as the ultimate pinch hitter when you want some foundation-like camouflage without the time and hassle. Whenever a product has a cult following (among editors, celebrities, and makeup artists alike), you know it has to be good. 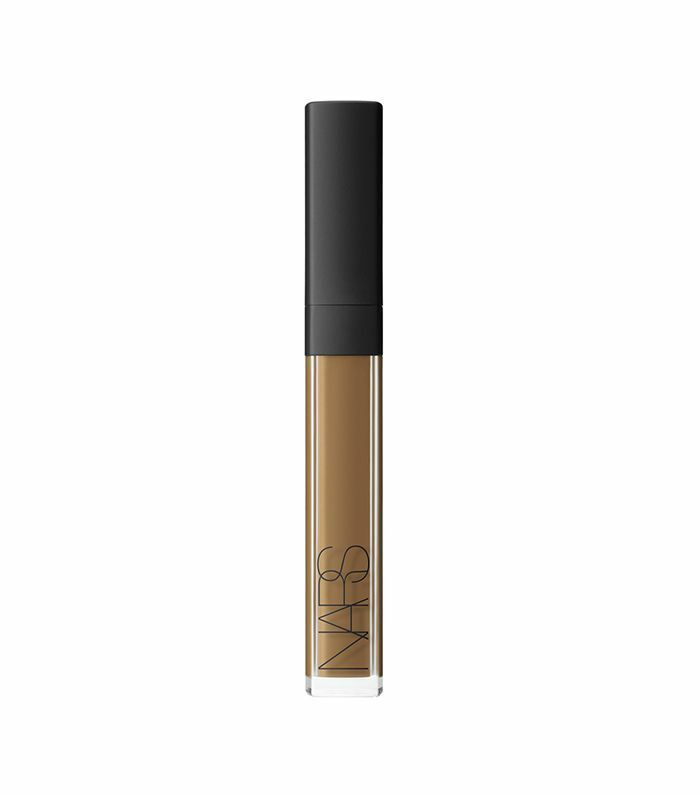 "Nars Creamy Concealer is my go-to concealer for a no foundation look," Henney tells us. Her tip: "Only use where absolutely needed." Just as the name suggests, the formula is ultra-creamy for maximum blendability, and the shade range is one of the best we've seen. It also diffuses light so your complexion is left with a touch of luminosity. Nothing is more satisfying than a two-for-one product that actually delivers. Featuring a full-coverage matte stick on one end and an airy, illuminating formula on the other, this concealer stick boasts coverage that's buildable, glowy, and nourishing to the skin (it's infused with vitamin E, collagen, and aloe vera extract.) First, use the stick end to blur any pesky areas like dark circles or a blemish, and then add a few dots of the illuminating cream wherever you want a touch of natural light reflection. 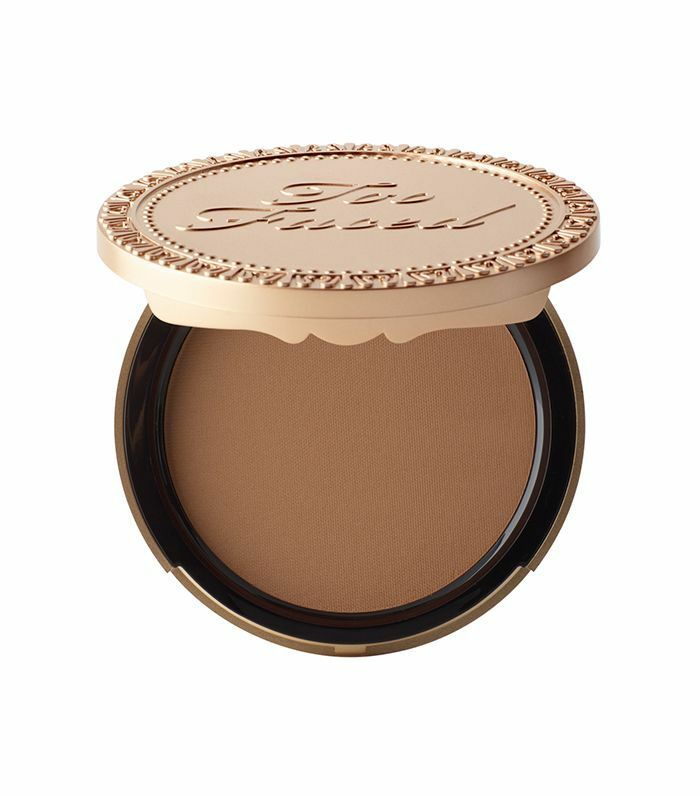 Loved by many an editor (myself and Hallie included), this cocoa-infused bronzer not only boasts a decadent scent, it also manages to deposit the perfect amount of color and coverage when we're in the mood for a makeup look without foundation. According to Hallie, "The color is perfect—sheer but buildable—and it adds just a hint of glow." However, if you're not into powder, follow Henney's lead and opt for a creamier formula. For maximum definition, she reaches for Chanel Soleil Tan de Chanel Bronzing Makeup Base ($50). Whether it's the dead of winter or we've simply been neglecting our beauty sleep, going without foundation can sometimes leave us feeling a bit pallid—to put it nicely. 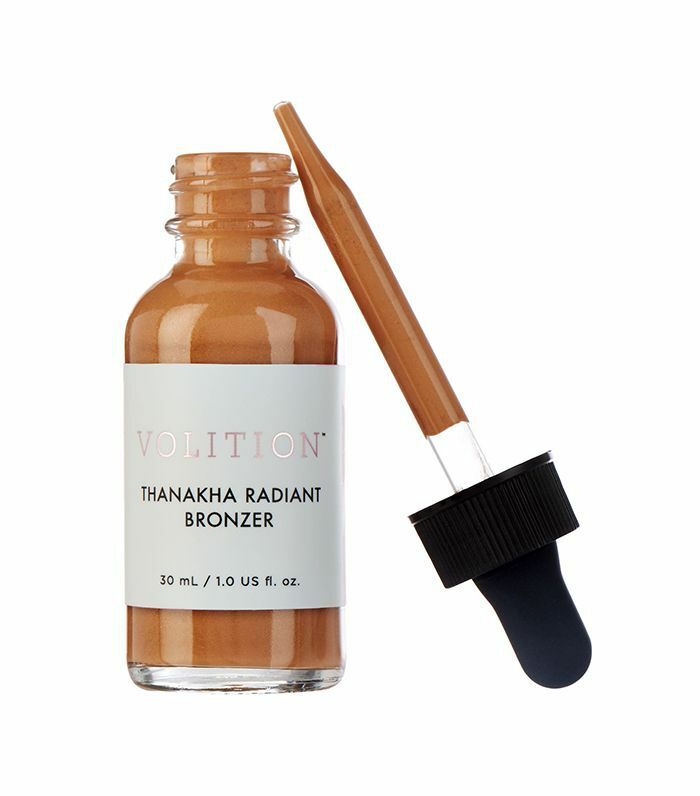 To put some pep in our step (and our complexions), we love the hint of shimmer and sun a favorite bronzer can provide, and Byrdie's managing editor, Lindsey Metrus, swears by this one from Volition Beauty. Though impeccably sheer and natural in finish, it's flattering on every skin type, texture, and tone, delivering a skin-enhancing luminosity that's honestly better than our favorite foundation. The MVP ingredient: Thanakha tree bark. In case you missed it, gloss is a thing—and not just where your pout is concerned. 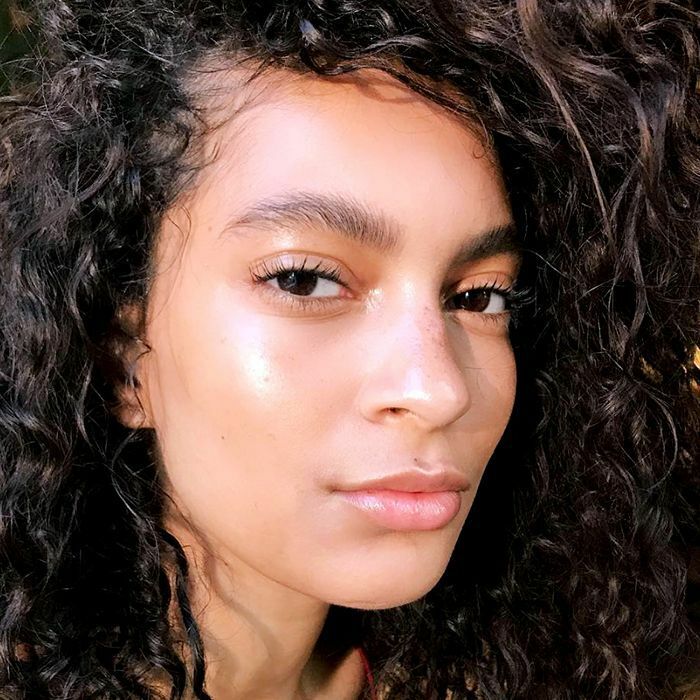 Virtually every makeup artist we've talked to recently has shared their stealthy secret of dabbing a clear gloss all over the face, from the eyelids to the lips to the cupid's bow and cheekbones. Product-wise there are plenty of viable options, but this OG formula from Elizabeth Arden is in almost everyone's kit. Another commandment of makeup without foundation: face framing. And by that, we mean immaculately groomed brows. 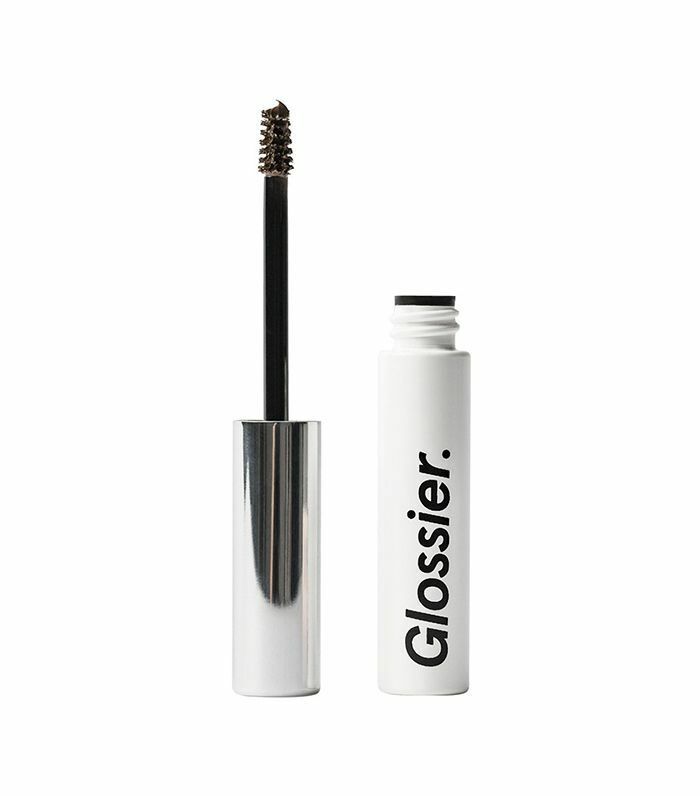 Henney is a fan of this one from Glossier (it's also a cult favorite.) Great for fluffing, shaping, and adding just an accent of flattering color, it's easy to swipe on even when you're halfway out the door in the morning. Not a fan of color? The expert-approved formula also comes in clear. Highlighter has been having a serious moment lately, and frankly, we can't get enough of the trend. After all, even when we decide to apply our makeup without foundation, a couple drops or swipes of highlighter stuff makes us feel like a mystical unicorn, mermaid, fairy—take your pick. 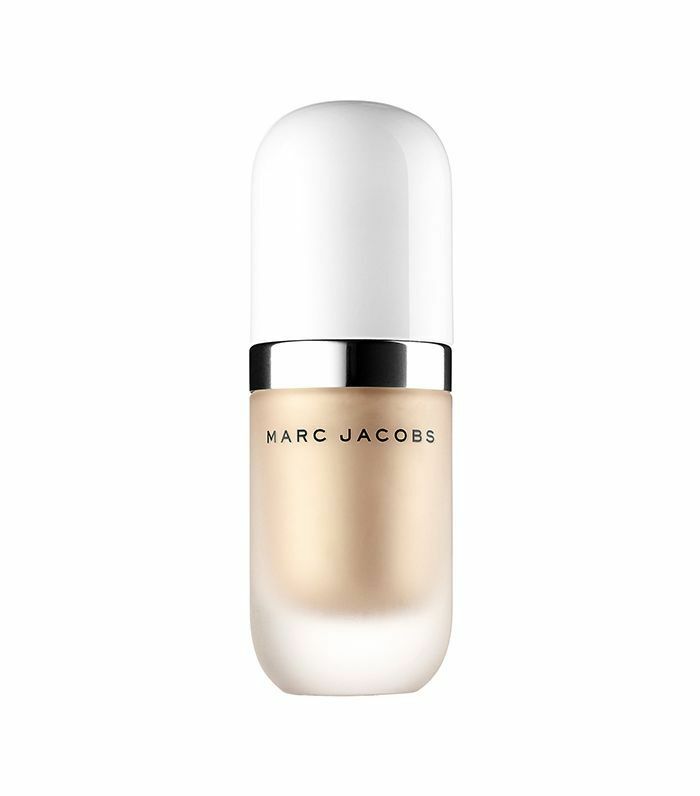 This coconut-studded elixir from Marc Jacobs is an editor-favorite, and Henney's also a fan of Becca Shimmering Skin Perfector Liquid Highlighter ($41). She recommends tapping it onto the tops of cheekbones for that coveted "healthy glow." Next up: six makeup pairings Byrdie editors think were (secretly) made for each other.